A Cabal In Control Of The Old Man – Dele Momodu On Buhari Govt. 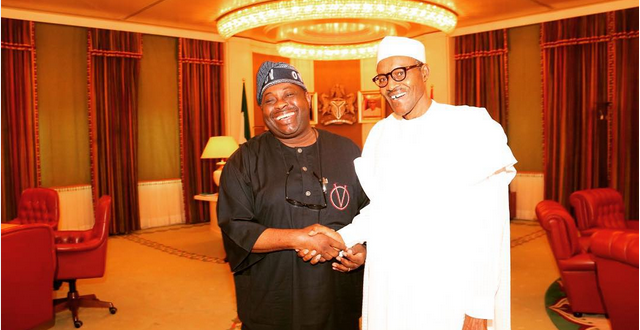 Businessman and publisher, Dele Momodu, has taken a swipe at the APC-led government of President Muhammadu Buhari. In his article titled, ‘The Reasons Nigeria Must Wake Up Fast’, he insists that the country needs a new orientation. “We need leaders who know their onions. We need modern leaders. What belongs to antiquity must be left where it belongs. Those who want this system to continue, understand the game well. “They are in control when the leader is weak and cannot perform. It is not about loving the old man. They just want to govern from behind. They are the faceless and unseen cabal. “2019 cannot come and go as business as usual. It won’t be funny. “Are we so jinxed that we keep repeating the same mistakes? Why can’t we stand up to our leaders and demand excellent performance? Why can’t we see that the world is leaving us behind and adjust quickly? “Truth must be told, as imperfect as our politicians look, they are the ones we must manage, and manage well.